Samsung Galaxy C9 has been in the rumors for quite some time and the story is still the same, this time, reports surfacing from benchmarking sites AnTuTu and Geekbench. If you were eager for the South Korean tech giant to unveil a Samsung Galaxy Note 7 that is packed with a 6GB RAM like previous rumors had pointed out, it seems the company wants to make this a reality, but with the mid-range Samsung Galaxy C9. If this remains true, the Galaxy C9 will be joining the already released Galaxy C7 and Galaxy C5, phones that have turned out to be more than impressive. The tech giant is doing everything possible to take away the attention from the failed Galaxy Note 7 by pushing out new devices in the mid-range family. Samsung Galaxy C9 is just one of the latest to join the growing list, which could probably see a Galaxy C8 join the party somewhere along the way. Just recently, we spotted the Galaxy C9 listed on Zauba featuring a 6-inch display unit. This was a huge indicator that the phone is in the making and may be released sooner than expected. Well, it appears this is indeed going to happen as the phablet has now made an appearance on two major benchmarking platforms – AnTuTu and Geekbench. According to reports from AnTuTu, Samsung Galaxy C9, which carries model number SM-C9000, will come with a Full HD screen with 1920 x 1080 pixels of resolution. Under the hood, the phone will pack a Snapdragon 652 SoC that is paired with a massive 6GB RAM, a first for a Samsung phone. There will also be an Adreno 510 to take care of the graphics while the front and rear cameras will both have a 16MP lens. 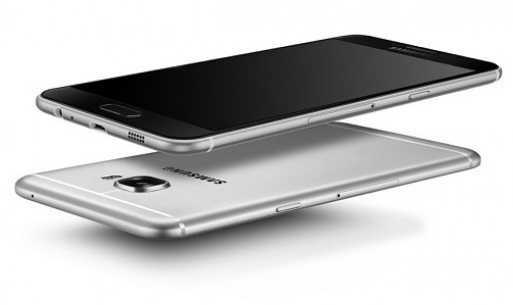 Apparently, Samsung Galaxy C9 will come with 64GB of inbuilt storage alongside Android 6.0.1 Marshmallow. As far as Geekbench is concerned, the Full HD screen is 6 inches in size, just as listed on Zauba. You also get an 8-core Snapdragon SoC that is clocked at a speed of 1.4GHz and 6GB RAM. In essence, these two platforms are enough to confirm that indeed the Galaxy C9 will be a monster in terms of performance, at least in the midrange category. Given the failures of the Galaxy Note 7, the company’s flagship phablet, the Galaxy C9 could come in as early as next month so as to try and quench the thirst of phablet lovers. Whether this device will remain exclusive to the Chinese market or will cross borders is still unknown, just like the specific release date.